News from the Twin Cities Jazz Festival! 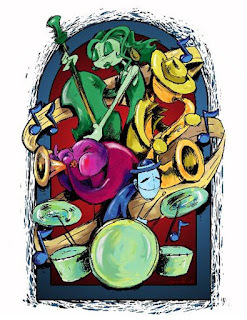 Festival Executive Director Steve Heckler announced the winners for the 2016 and 2017 Jazz Fest poster competition: James Powell's digital work, “Window to Jazz,” will be the official 2016 poster image; Greta Sandquist's acrylic work, “Long Into the Night,” will be the official poster in 2017. Each winner was awarded $1000. 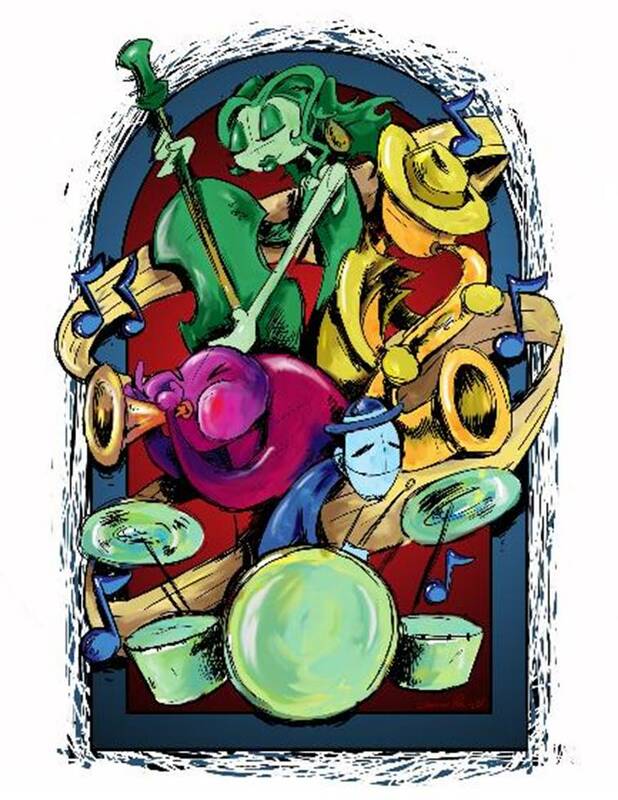 The competition is a collaboration between the Jazz Festival and the St. Pau Art Collective. Said Powell, "Since moving to the Twin Cities I have always admired the way that the St. Paul Art Collective brings together artists from all walks of life and love the community they have built. The Jazz Festival poster competition seemed to echo this." For the competition, four judges represented a range of community members and involvement with Jazz Fest, including Tina Persson, a Minnetonka based jazz musician and teacher; Amy Clark, Lowertown artist and teacher; Suzi McArdle, gallery curator and jazz aficionado; and Joe Spencer, Director of Arts and Culture for the Office of Mayor Coleman. 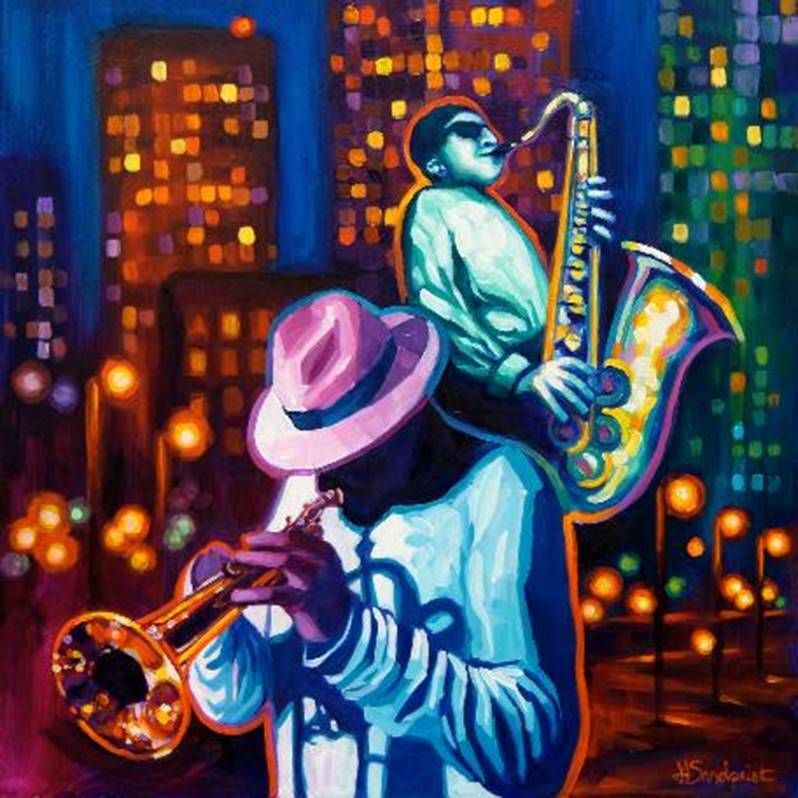 The 2016 poster will be available for purchase at the Winter Jazz Festival at The Saint Paul Hotel on Sunday, January 31.